Pontins Black Friday Deals – 2017 Summer Holidays with £10 Deposit! Pontins will be doing some fantastic deals over Black Friday weekend… book your 2017 summer holiday with a £10 deposit! 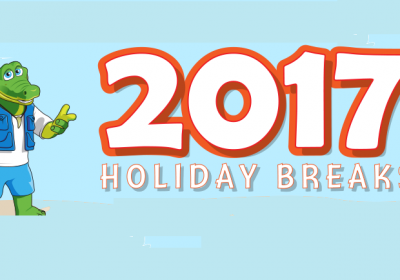 If you’re looking for a little getaway with the family over 2017 School Holidays then be sure to check out the great deals over on the Pontins website. They have breaks over a selection of dates with prices starting at just £79 per Apartment! There are various options available at all of the parks throughout the UK which you can check out HERE. The children will be blown away with some of the great events planned for Pontins this summer… with stars such as Peppa Pig, Danger Mouse and Basil Brush on site it will be like babies first gig! Pontins have four sites across the UK so you should have no problem finding a holiday that meets your needs and at a super price too! Don’t miss this fantastic opportunity to book a 2017 Pontins holiday for an unmissable low price! Plus, for a small deposit of only £10*, you can secure your break and pay the balance at a later date! Don’t delay as these prices have to end at midnight on Sunday! 2017 school holidays are included in this amazing sale! Hurry as this great deal ends Midnight Sunday 27th November and there are a limited number of rooms per park per date available at these amazing prices, With rooms being sold on a first come basis. When They’re Gone… They’re Gone!